In May of 2013, few people in the United States — let alone worldwide — knew anything about Edward Snowden. 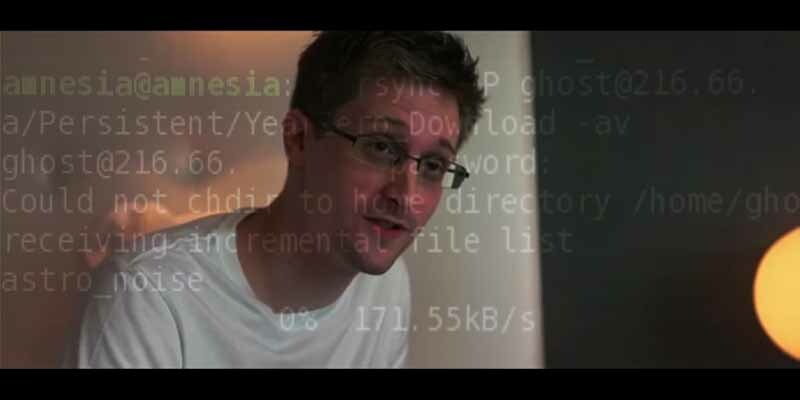 Now, a new documentary “Citizenfour” by Laura Poitras looks to run headlong into the firestorm created by Snowden and the NSA to show a different version of the man painted technology turncoat. Poitras was among the few present in Hong Kong last year when Snowden first revealed details of NSA surveillance programs. He initially reached out to journalist Glenn Greenwald, but broke off communications when Greenwald refused to encrypt his messages. Snowden then contacted Portias after seeing her documentary about another NSA whistleblower, William Binney. Signing his emails as only “Citizenfour”, Snowden arranged a meeting with Poitras, Greenwald and Guardian journalist Ewen McAskill in Hong Kong. The three were understandably skeptical about Snowden’s claim, since none had any idea who he was and his claims sounded like outlandish, paranoid pulp novels. As noted by Forbes, the man was so consumed with finally giving full access to everything he knew that he neglects to give any information about himself. McAskill says he’s never heard of Snowden, prompting the bookish young man to rattle off his resume. Again, McAskill interrupts and says the man hasn’t even given his real name — and soon enough, all three come to realize the implications of Snowden’s disclosure. So what exactly did Snowden reveal that was so damning to the NSA? It starts with information about PRISM, which gives the American government access to citizens’ Google, Microsoft Yahoo accounts, and moves into revelations about GCHQ, the NSA’s British partner; under project Tempora, the agency intercepted private from the fibre optic cables which form the backbone of the Internet at large, data which was allegedly shared with the NSA. In addition, Snowden disclosed that telecomms company Verizon was bound by a secret court order to hand over the phone records of millions of Americans every day. And while the US government has done its best to profile him as a traitor and defector, recent polls show 55 percent of Americans agree with Snowden’s decision to release details on PRISM and similar programs. What of the man himself? According to Wired, he’s now living in Moscow with his girlfriend, where his temporary visa has been extended another three years. He original destination was Latin America, he says, but the US cancelled his passport while he was in Russia. And while he’s not exactly a public figure in Moscow, he does take time for the occasional “remote interview” with publications like the New Yorker. His message? Citizens need to protect their own privacy. “Get rid of dropbox,” he says, because it doesn’t support encryption, and stop using Facebook and Google. He argues that the oft-heard refrain of “I have nothing to hide” is akin to giving up your right to privacy — the government must justify its violation of your rights, rather than forcing you to defend them. It’s a familiar song from a (now) recognizable face: users are legitimately concerned about their privacy online and how vulnerable they may be to secret government programs, malicious attackers or even corporations. One simple solution is a secure VPN. Browse wherever, whenever and with the peace of mind that the only IP address hackers or governments will ever see is ours: you keep your right to anonymity, we give you the speed and worldwide access you want. Love him or hate him, Snowden has a point: Never surrender your right to privacy. Watching the trailer is such a surreal experience, I can’t imagine what it would be like to see this in theatres. Thank you Edward Snowden!